Next to the ‘up-market’ Yari road in Versova, is one of the un-sung heritages of Mumbai, the Vesave (pronounced: Ve sa ve) Village – Home to around 15000 Kolis, Mumbai’s fisher flock community. 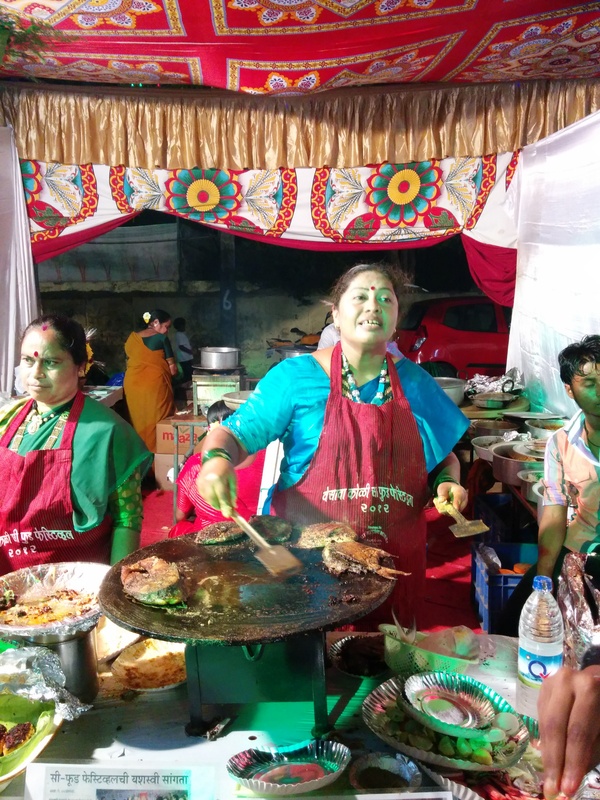 What caught our eyes and found all this worth mentioning in this post was the sudden ‘real-estate + culture shift’ you experience when you enter Versova Village through Yari Road. Things suddenly change…the people…the roads…the houses….the shops…the bylanes….so village-y, yet so photogenic. 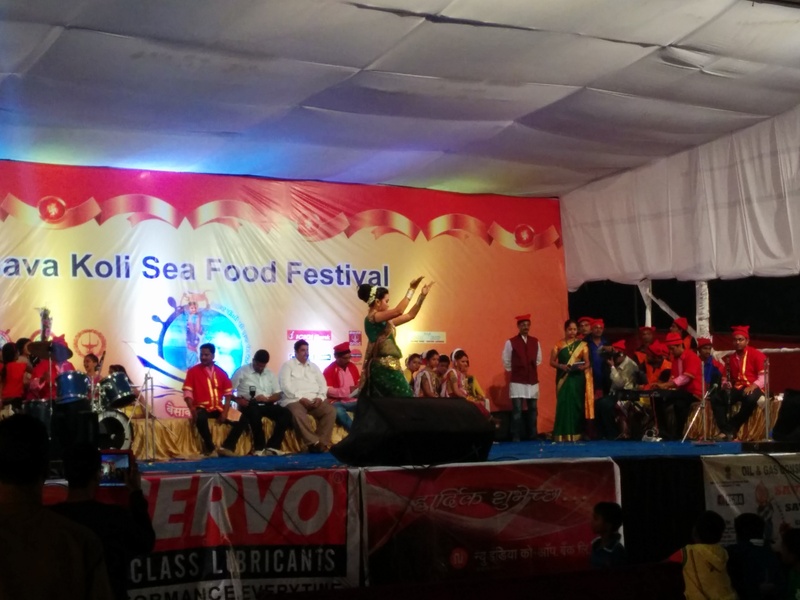 We recently passed through the village when we were headed to the 9th Vesave Koli Seafood Festival in St. Anthony’s Church ground, Versova. This photogenic village indeed added up to all our excitement to visit this much talked about seafood festival. 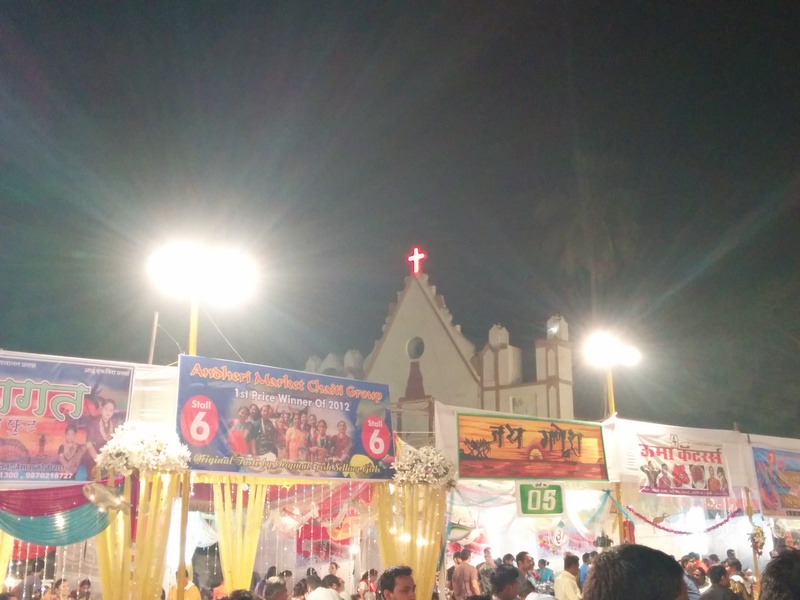 We reached the event ground at around 9.15 pm, on the first day of the festival. 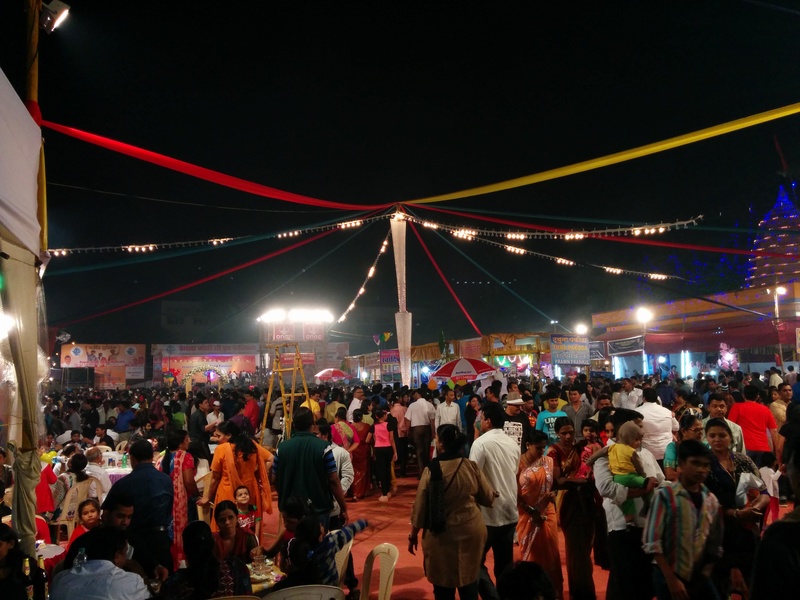 With around 30-40 stalls serving authentic Koli food, we found the place to be decently crowded. We started with a walk through to check what each stall had to offer. 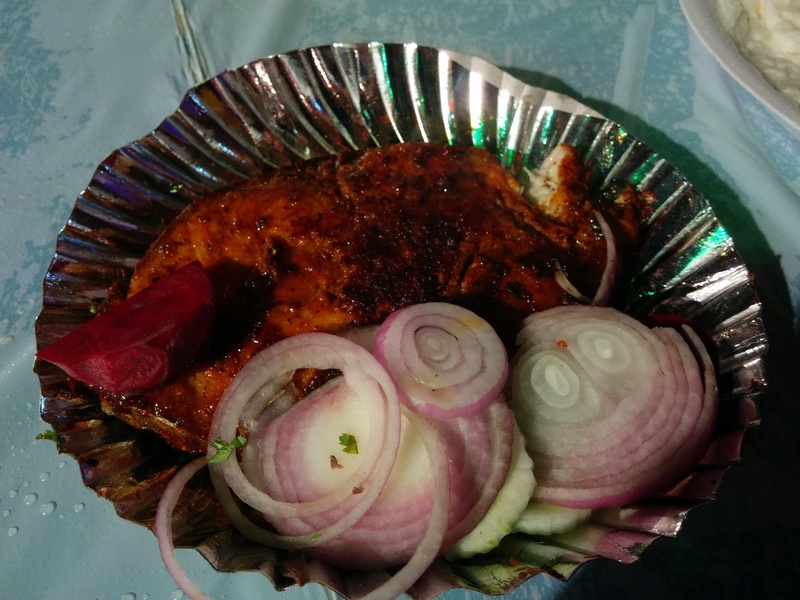 From authentic koli fish fries, stuffed pomfret to barbequed fish, there was definitely variety that was being offered. 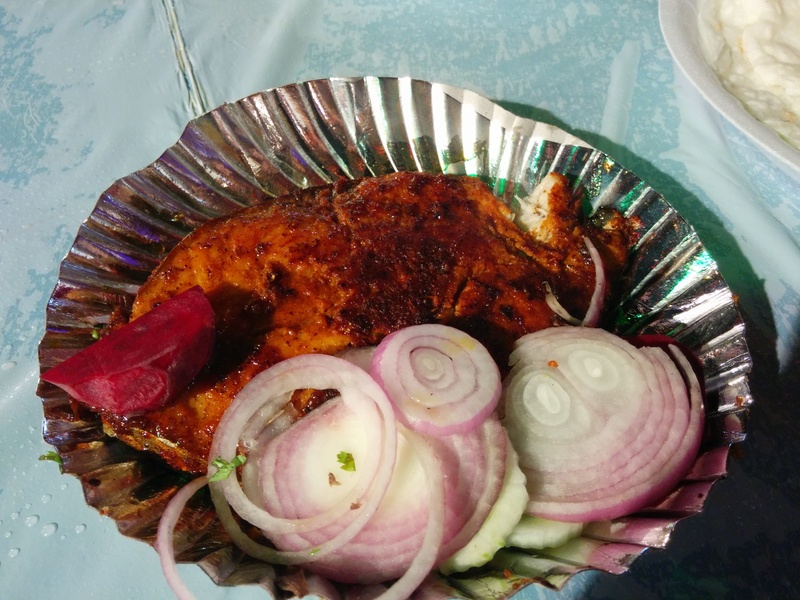 We started our gastronomic journey with some HUGE slices of Surmai (Indian King Fish) fry (not-so-fairly priced at Rs. 300 to 500). We thought that this was exorbitantly priced, but once you indulge…you are sure to forget the price you are paying. 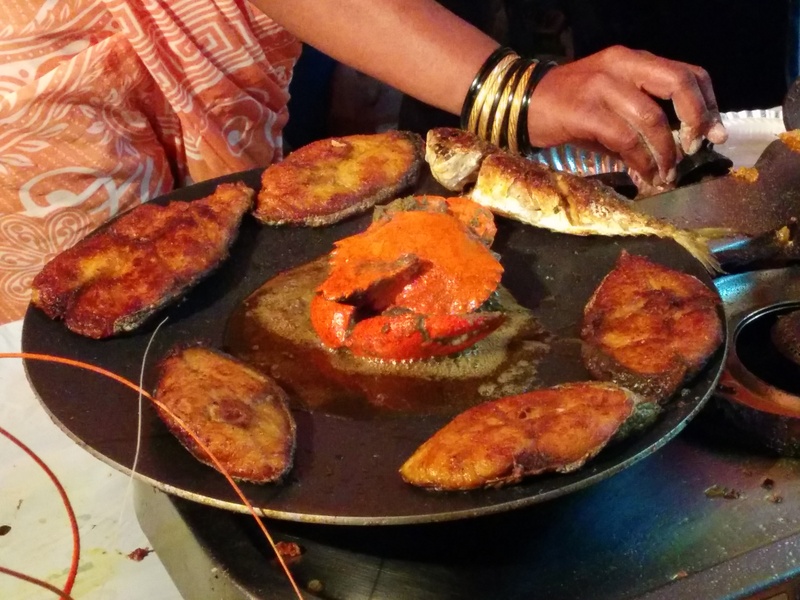 We went on to the next stall and ordered a portion of the yummy looking Shellfish curry (Rs. 200) and King Prawn Curry (Rs. 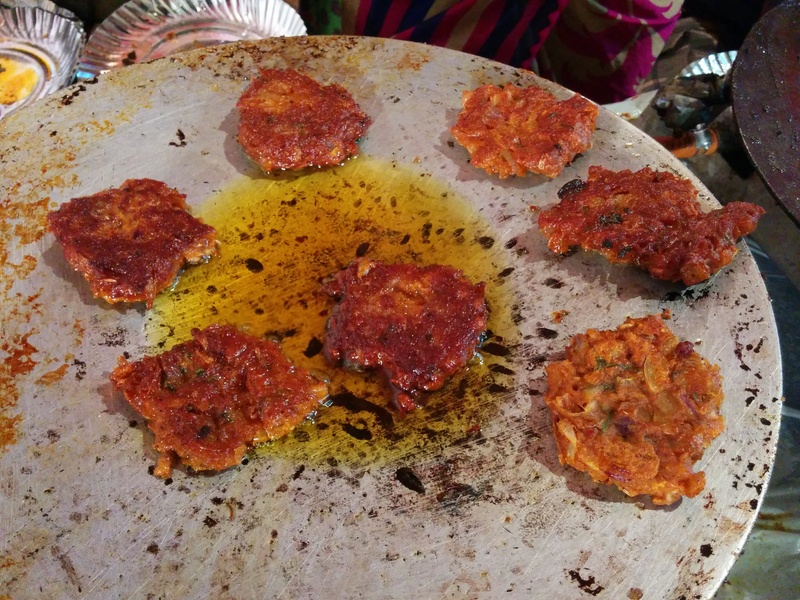 300) with some Tandul Poli (Rice Rotis). 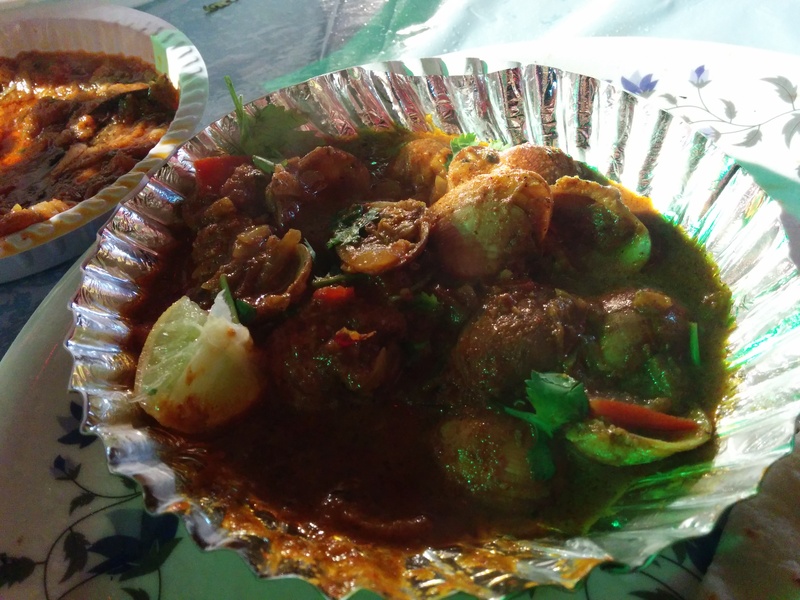 We thought that the curries would be spicy (thanks to popular Malvani cuisine), but the shell fish curry was pleasantly spiced (not too spicy, easy on the palate) and was rich on flavour. The fish in both the curries were sufficiently cooked and not too rubbery (Prawns being properly cooked- very rare in restaurants). Both the curries went really well with the Tandul Poli and hot steamed rice. This year the festival tried to innovate in a big way and had dishes that you won’t otherwise find in restaurants or food festivals. Talking about innovation, the next dish that we tried was the prawn kebabs and the Tuna kebabs (Both priced at Rs. 150 per portion). 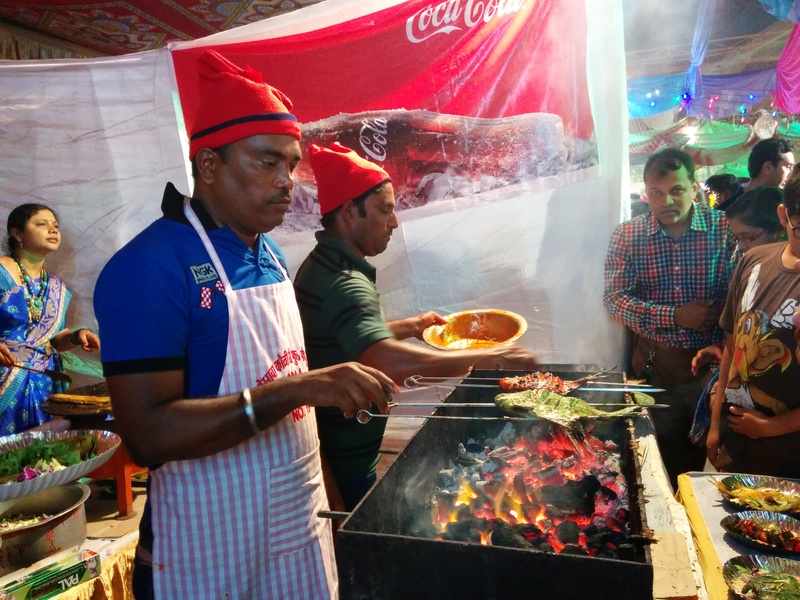 The prawn kebab was a medium sized tikki made with groundnut flour, onions, garlic, coriander leaves and some prawns. Yes only some prawns! We say some prawns because we think that a little more of prawns to the dish would have worked wonders. Strolling for some more innovative dishes with the authentic touch, what caught our eyes next was the prawn franky (Rs. 150- 200). 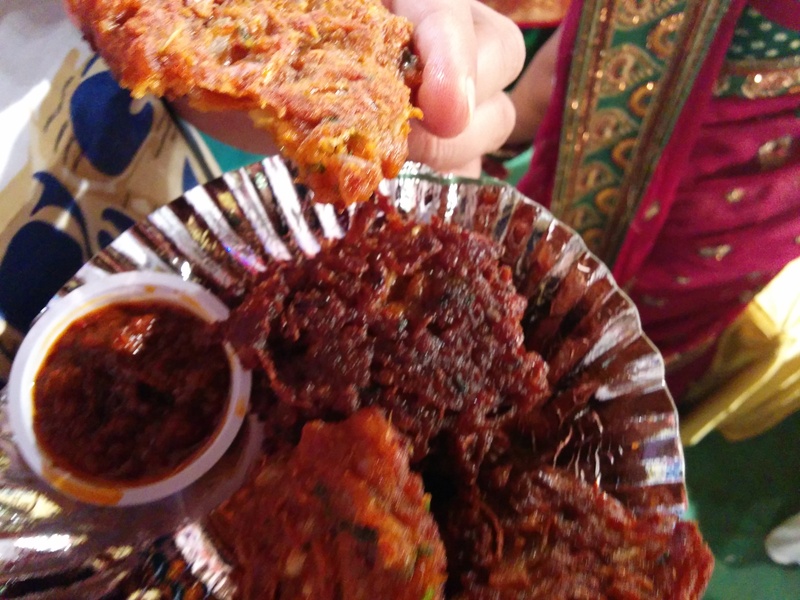 This particular dish was definitely a hit at the festival. Well, at least that’s what the long queue at the stall said. Here again we thought that a little more prawns in the spicy role would have worked wonders. But never mind! We also stumbled on an innovative way for serving Sol Kadhi. They packaged it in cool coffee takeaway sippers. 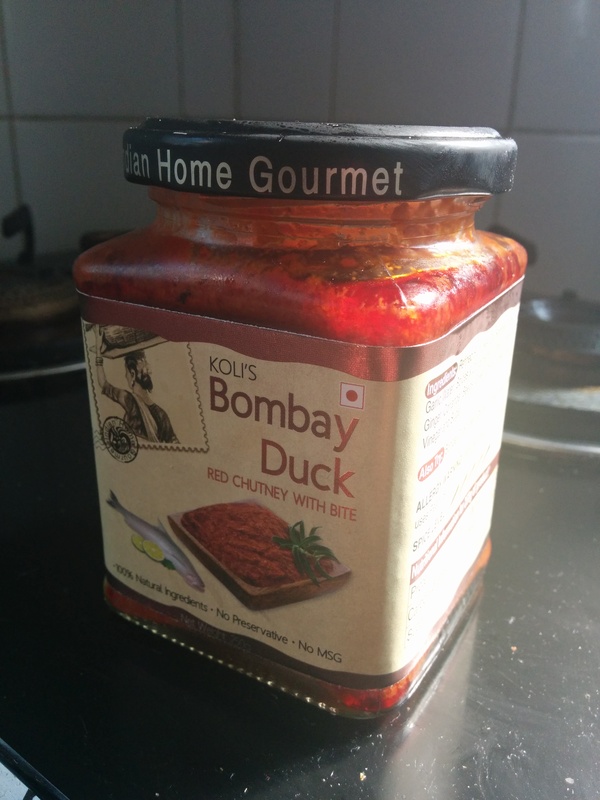 This made sipping on the khadi much easier and one could savour it while exploring their gastronomic options. 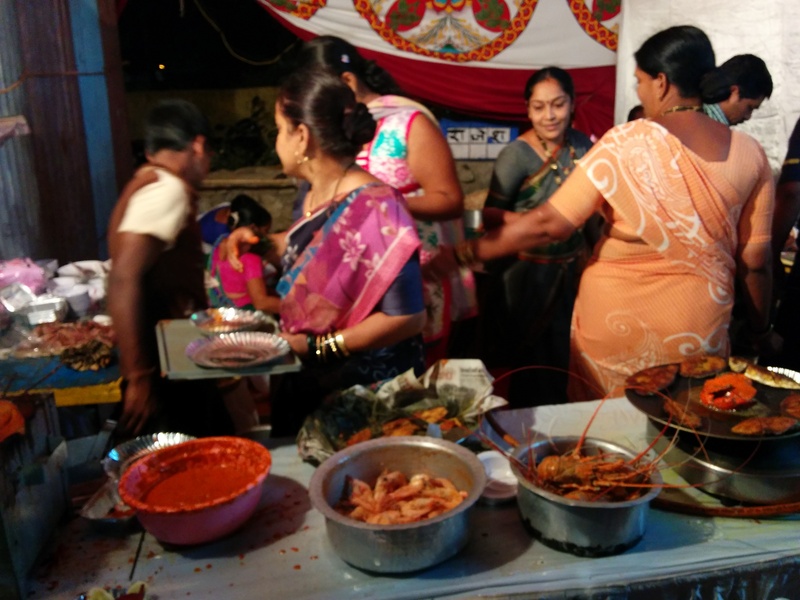 Along with the stalls serving fresh food, there were stalls selling readymade masalas, chutneys, and dried fish. These are homemade and hence authentic. By now, we realised that we’d eaten a lot and the event was almost closing down for the day. 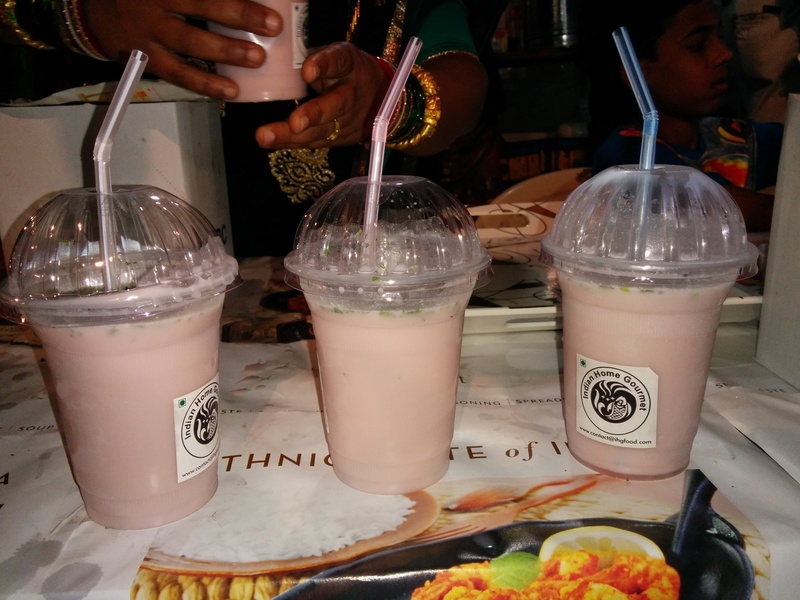 How could we end this journey without some authentic koli desserts? Well, we didn’t know the answer to this question either. Hence, we quickly got our hands on the Keli God (Stuffed Banana). This dish was heaven! How about some reasonably priced alcohol and koli naach gaana to go with all this lip-smakingness? Well, you asked for it, and the festival has it. 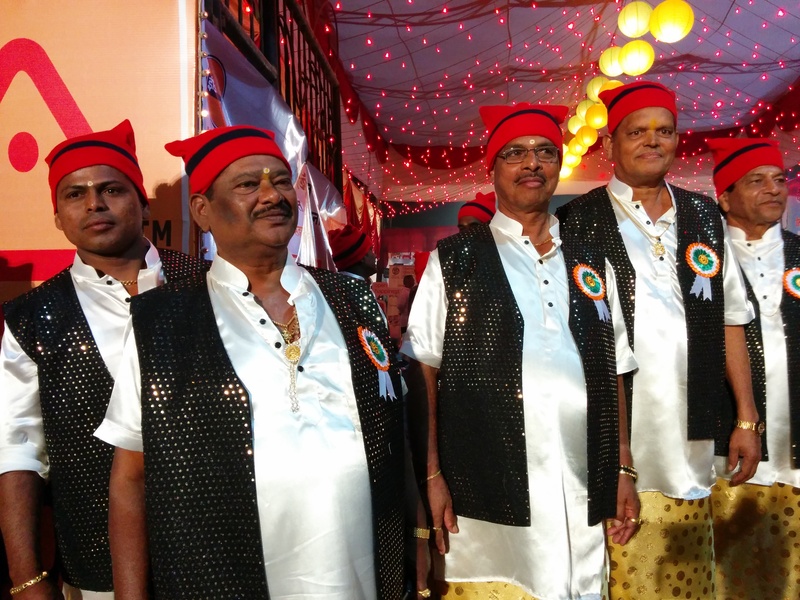 The alcohol and the naach gaana actually made the whole food festival, a true celebration of food….a true celebration of culture. We didn’t stop here. 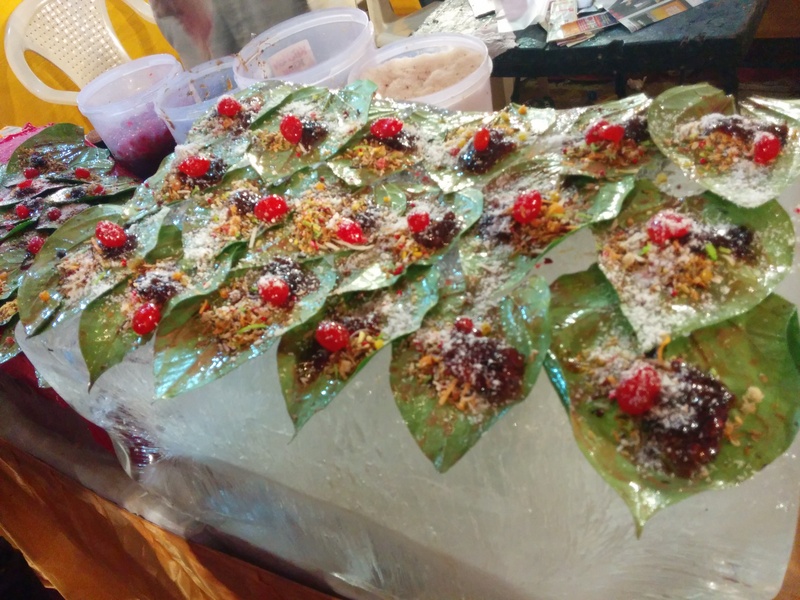 We ended our journey with some ice-cold paan (Rs. 30). The festival takes place every year in the second half of January (This year it took place on 24th– 26th January). 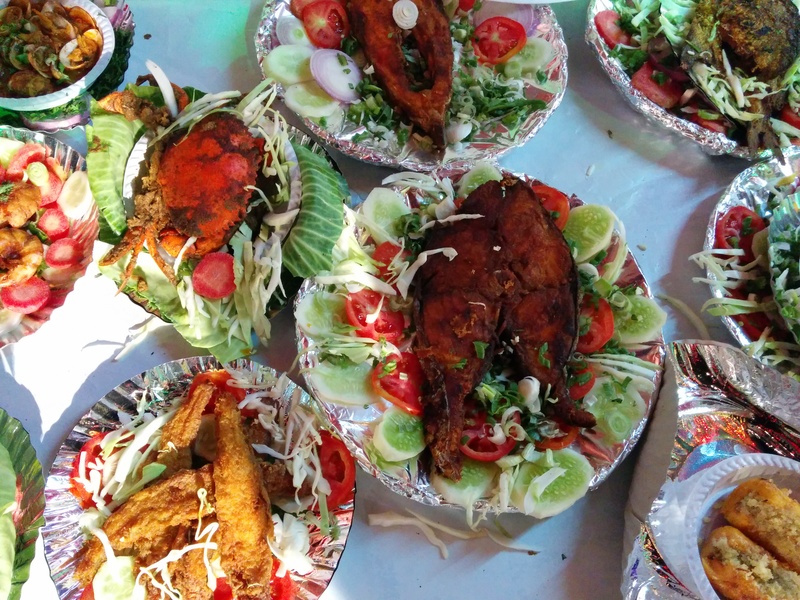 Go here for some lip-smacking sea-food and to experience some Koli-ness, because barring fish markets and stray roads lined with sellers of dried fish, Kolis, believed to be the oldest inhabitants of the island that is now Mumbai, are a rare sight. January 30, 2014 in Restaurants-Hang-outs!. 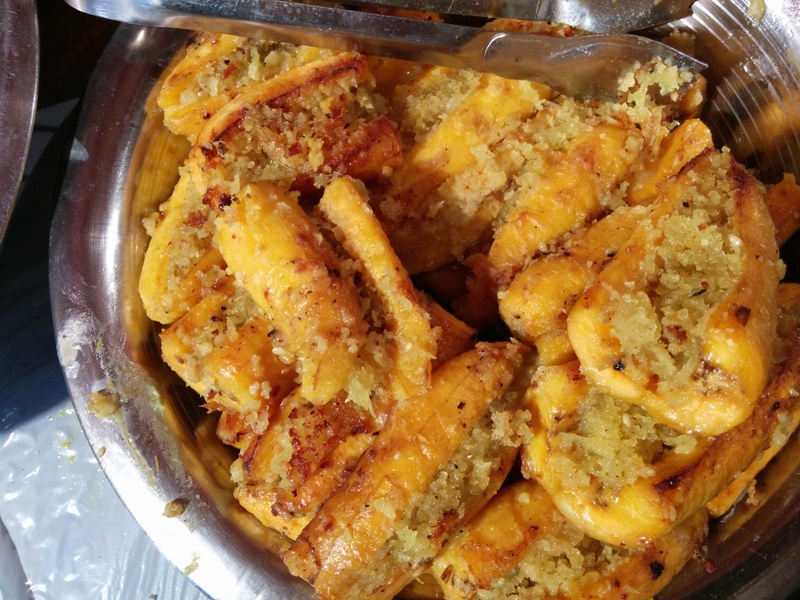 India Food Trends 2015: What will keep you hungry for more? 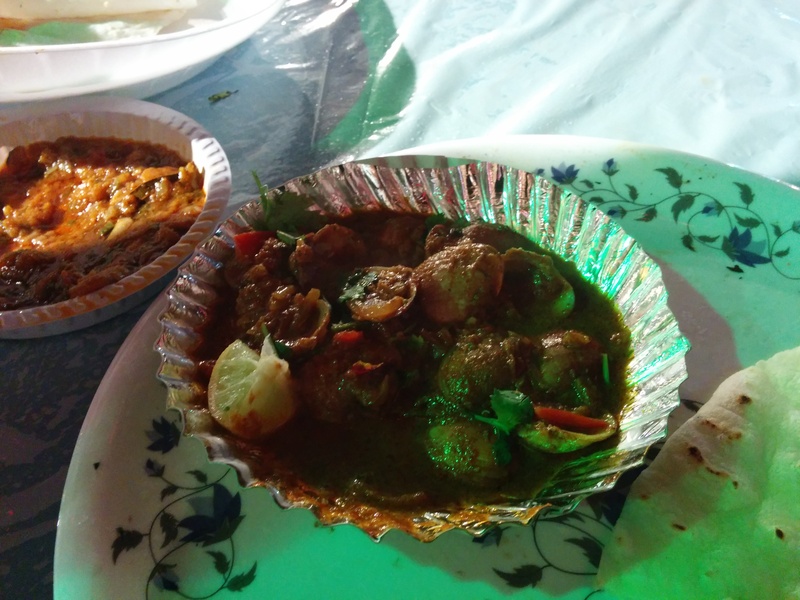 Food Review: Monsoon Maharashtrian Jhevan – A Hot Delight! ← Movie Review: Jai Ho – Good But Not As Good!